The video for the Can’t Tells’ new single “Faulting,” from their upcoming EP, opens with a few frames of grainy, seemingly dust-flecked film before immersing the viewer in an abstract but tense filmic phantasia composed entirely of public domain sources. The immediate effect is one of distance – what is being shown is not of our time and somehow not of our place. The band’s music video creates a persistent sense of unreality and imbalance by crosscutting between footage of soldiers marching, bombs exploding, factory-created doll heads, and newsreel shots of storms and floods. There’s something uneasy about the images themselves as well as the way they sidle against one another, but amidst the confusion, certain juxtapositions suggest deep, poignant meaning. These instances last only a moment before giving way to the off-kilter spectacle, but the viewer begins to watch more closely, hoping to grasp the next real connection. This hunt for the meaningful in a chaotic flurry of static, the frictive gap between the sensible and senseless, is the thematic through-line that binds the video, the song’s sonic construction, and its lyrics. But first, to take a step back, here’s what you need to know about the Can’t Tells. The Brooklyn-by-way-of-Boston band has two solid albums under its belt already, and the group specializes in a propulsive kind of indie rock that’s both hard-edged and melodic with a DIY flare. Blaze McKenzie and Mike DiSanto trade vocal/guitar/bass duties, while drummer Jon Smith pummels up a storm behind them. The band members have described their sound as something like Elvis Costello fronting Mission of Burma and playing Spoon songs at double speed, a wonderful record-collector rock thought experiment. It’s not too far off as a description either, but this reviewer gets a bit of a Modest Mouse vibe filtered through the lens of 2000s garage-punk a la Jay Reatard or Ty Segal. Either way, though, the point is that these guys have noise and power, but they also have melody. In “Faulting” it’s the strong, mournful melody that keeps us anchored in the maelstrom of fuzz and distortion. At first listen, the track is almost Velvet Underground-like with its simple, pounding rhythm (as well as the sing-speak interjections) but the main vocal melody is more tuneful than your typical Lou Reed ditty. The noisiness (which is high, even for this band) recalls the best of groups like Sonic Youth and Spacemen 3, creating a sense of chaos that forces us to flock to the vocals as if they were a beacon of light in a dark storm. Lyrically, McKenzie stresses that the song is “about being in a bad place, figuratively, but kind of feeling like you NEED to be in a bad place. And although you know it’s not good for you, it is simultaneously a source of some sort of happiness. This song is about reconciling that dichotomy, as it seems to be a pervasive theme in my life.” In other words, the song’s about disjunction. These lyrics, then, lead us to the final, adjectival sense of fault, as in “faulty,” or defective. Out of the sense of discordance that runs throughout the song, between the aching melody and fuzzy feedback, between the blame-giving and blame-taking, between the video’s confusion and poignancy, there emerges a strong sense of the way in which this approach to the world is itself faulty, both comfortable and untenable, embodying within its own internal logic an unbridgeable fault line. All of this is to say that this is thoughtful and thought-provoking music. 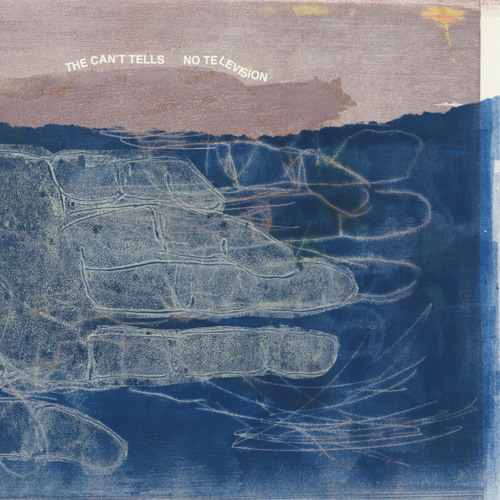 The first single, “Looking,” from The Can’t Tells’ upcoming EP was a solid track, and “Faulting” builds off of it with remarkably precise thematic and artistic craft. Every angle from which to approach the song yields a rich idea or gaping question to consider, and for that nobody could be faulted for wanting to know just what else this band has in store. Ross is a New York City-area writer with interests in American literature, critical theory, and, of course, pop music - specifically rock'n'roll and hip-hop. In addition to Atwood, his writing has appeared in the Notre Dame Observer and Time Out New York.